A traditional barometer of the construction industry environment in Ireland is the number of cranes punctuating the Dublin skyline. 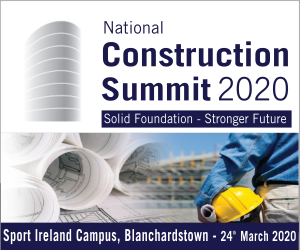 “The crane count in Dublin reached a record 123 in March 2019 – the fifth consecutive month when the survey recorded a new high,” pointed out Tom Moloney, Managing Director of CIS (Construction Information Services), when presenting a comparative overview of Irish construction activity at the recent 2019 National Construction Summit, which was held at the Citywest Convention Centre in Dublin. “The total is up 21% on last November’s count and nearly four times the 31 cranes first recorded from February 1st 2016,” he added. 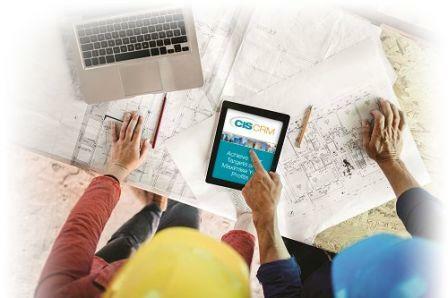 With offices in Dublin and Banbridge, CIS is the only company to provide, comprehensive, reliable and verified real-time information on all construction projects throughout Ireland. CIS tracks and monitors all construction projects from early-planning through all stages to commencement on site. A total of 7009 plans were submitted in 2018 across all sectors of construction in the Republic of Ireland with a total value of €11.82 billion – up from €10.5 billion in 2017. The value of public plans submitted in 2018 was €638.9 million, representing a steady decline from €1.65 billion in 2016 and €1.44 billion in 2017. Plans granted across all sectors in 2018 had a total value of €10.4 billion – up from the €8.96 billion in 2017 but down from €11.36 billion in 2016. With regard to plans on-site for all sectors, the value has risen steadily from €7.08 billion in 2016 to €7.93 billion in 2017 and to €8.81 billion last year. “The delivery of housing, both social affordable and private has to be the key target of both the Government and industry to address our historic homeless crisis and maintain the country’s positive economic growth,” said Tom Moloney. Last year, over 642 residential projects, worth €3.5 billion commenced, while over 1,319 projects, worth €5.2 billion, have permission to proceed. “Budget 2019 has increased the allocation to a record of €17 billion to the medical sector,” he pointed out. The most topical project of this nature is the ongoing construction of the €1.7 billion New Children’s Hospital at St James’ Hospital in Dublin. Enabling works have recently commenced to allow for the relocation of the €300 million National Maternity Hospital to St Vincent’s Hospital in Dublin. “Government is to spend €286 million on roads and other infrastructure in 2019,” said Tom Moloney. However, the Government has allocated an extra €1.26 billion for roads and transport projects between 2019 and 2021. 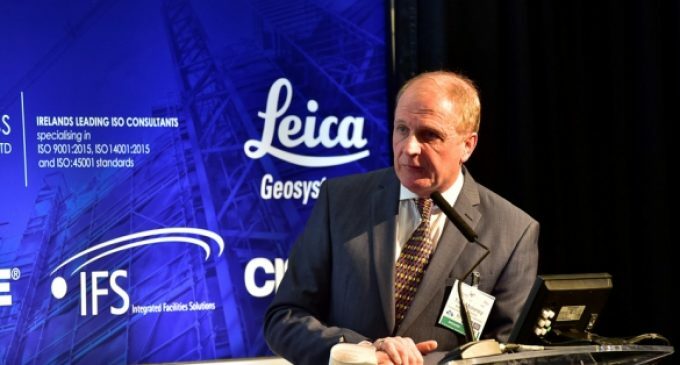 “Consultants are expected to be appointed shortly for the Planning & Design services for the proposed €1 billion M20 Cork to Limerick Motorway,” he told the National Construction Summit. In addition to the M20 Cork to Limerick Motorway, other major projects in the pipeline include the €400 million Greenlink Interconnector in Wexford, the €200 million N22 in Cork and the €150 million Airside Civil Framework at Dublin Airport. 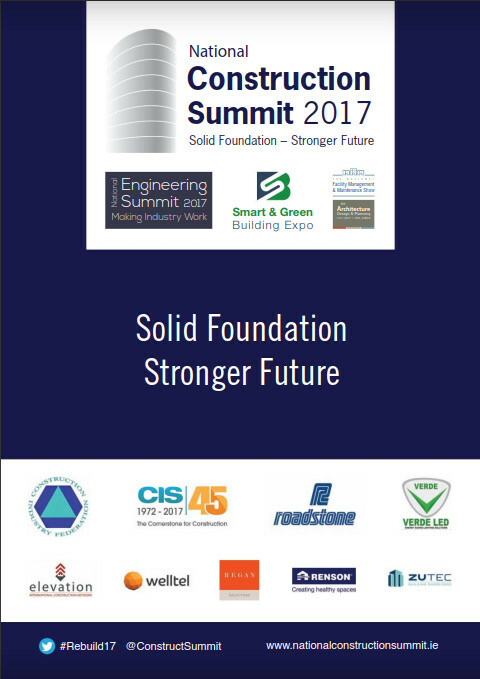 The CIS research team has reported that on-site activity has plateaued, where the main priority is the delivery of existing large-scale projects under construction but the future pipeline remains strong with 411 projects valued at €937 million onsite and 885 projects worth €1.639 billion granted permission to proceed. A further 926 projects valued at €1.574 billion have been submitted. The pharmaceutical industry is continuing to attract foreign investment with the Leinster region currently a centre of high activity, while the food and drink sector is also buoyant as reflected by the many company expansions and warehousing units planned. CIS analysis reveals that 224 industrial projects, worth €842 million, were on-site during 2018 with 498 projects, worth €1.571 billion, granted permission to proceed. Submitted projects totalled 545 with a combined value of €1.742 billion. Overall construction activity is forecast to grow by 20% in 2019 to reach a total output of €24 billion, according to Tom Moloney.